UFC lightweight champion Rafael dos Anjos is a little lighter in the wallet. 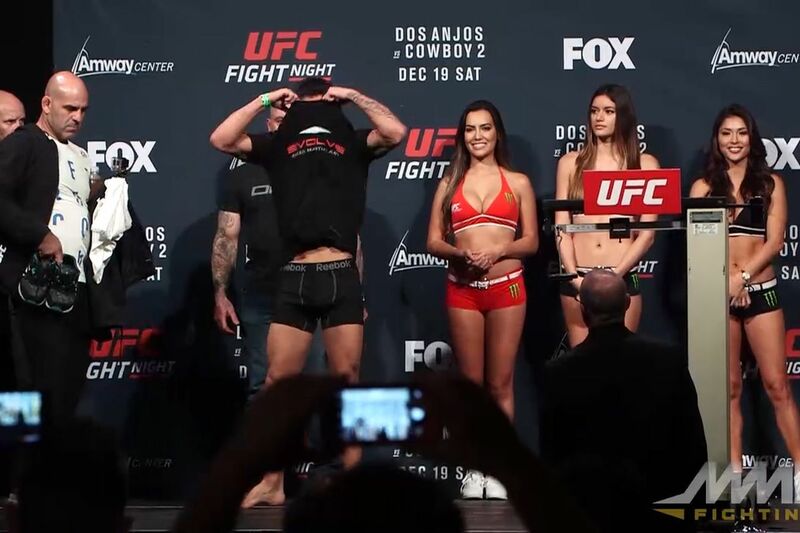 Ahead of his Dec. 19 title defense to Donald Cerrone at UFC on FOX 17, Dos Anjos was seen wearing an Evolve MMA shirt before stepping on the scales to weigh in. Word came this week that Dos Anjos had been docked a “significant” amount by the UFC for violating the promotion’s Athlete Outfitting Policy. Speaking with MMAFighting.com on Wednesday, Dos Anjos revealed that sum to be $10,000. Dos Anjos trains part-time at the Evolve MMA camp in Singapore and has been associated with the team and Evolve owner Chatri Sityodtong since 2009. Cerrone was also fined by the promotion, but rather for stitching a small piece of the American flag inside his fight shorts. Cerrone didn’t reveal the amount he was fined when speaking to Ariel Helwani this week on The MMA Hour, but insisted that the “ludicrous” fine was more than $5,000. As a champion, Dos Anjos earned $40,000 as per the UFC’s outfitting agreement with Reebok. Cerrone made $30,000 as a title challenger.